Great home in pristine condition. 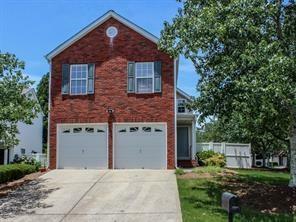 Granite countertops, updated kitchen, stainless steel appliances, & gorgeous flooring on the main level. Newly renovated bathrooms w/ new lighting, beautiful tiled floors, and more. Light and bright with bay windows in both dining rm & Master Suite. Washer/Dryer included. Large level fenced in back yard is great to entertain family & friends. Fabulous Subdivision w/ Large Swimming pool, Lighted Tennis Courts, Beach Volleyball, Playground & Clubhouse. Rent includes front lawn care! Carpet being replaced prior to tenant move in. Directions: Ga 400 North To Exit 11 Lt Onto Windward, Rt On Deerfield Parkway At Light. Lt On Avensong Crossing, T On Avensong Ives Way, Lt On Avensong Village Ct, Lt On Aventide Lane, Home Located On Left On Corner.